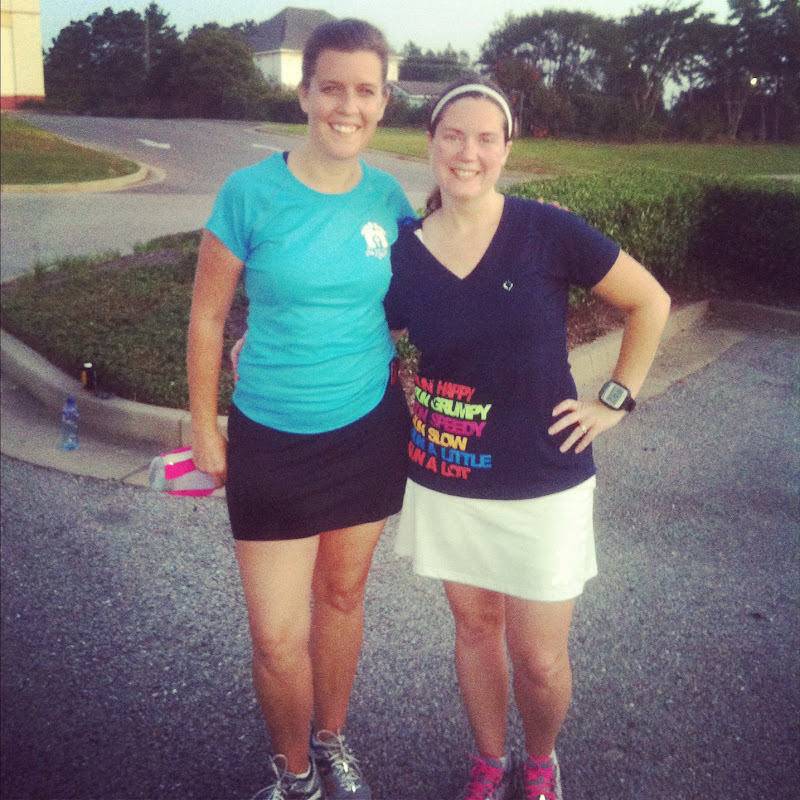 It's week 3 for the half marathon training with the Sole2Soul Sisters. 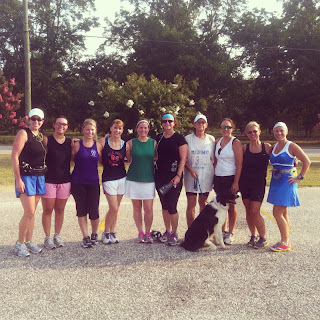 We had 14 women show up to run this morning...we were about 10 ladies short but some of them ran yesterday and some are running in the morning. Very hot, very humid, and hard...that describes the run this morning. But the ladies stuck with it and did awesome!!! I get home and see a warning on my phone...we are under a heat advisory!!! No wonder this run was brutal! Next week I think we are going to start our run 30 minutes earlier. I was trying to get them acclimated to the heat since the race is on September 30 (will be super hot) and doesn't start until 7AM but this heat is dangerous. I also ran for another reason this morning. Rachelle at Livin the Fit Life is hosting a virtual run for her birthday! It was a last minute decision last night but I decided I would go for it! I knew I was already running 7 miles today so the 10K option was the best for me. I ran the 6.2 miles in 1:07:31 at an average pace of 10:50! 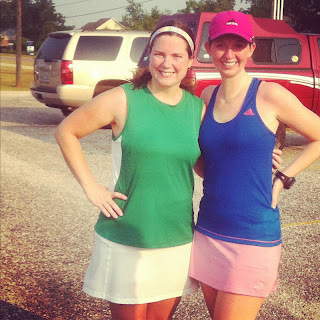 I ran most of the run with my friend Mindy...yes we are the two Mindy's lol! 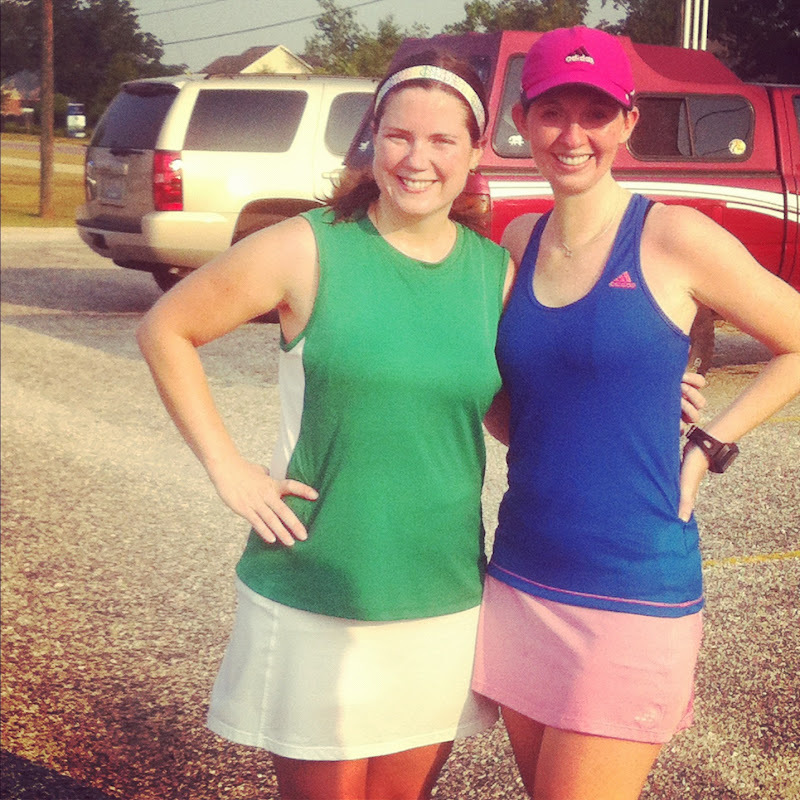 This is Stacey...such a sweet lady and I am loving getting to know her better through this training! 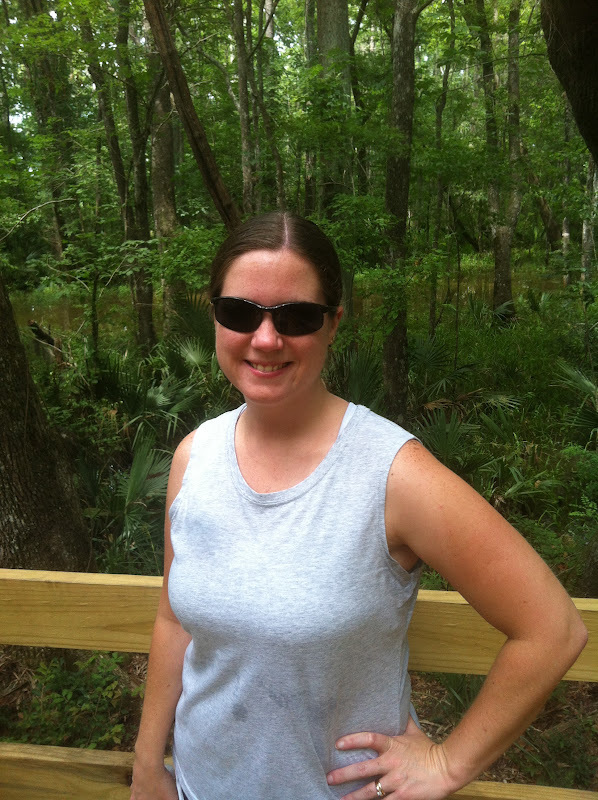 She was one of our leaders/coaches for one of our Sole2Soul Sisters groups a while back. And here are some of the sisters that ran with me today!!! Love these ladies!!! And yes...we have a mascot...Cody! That sweet dog runs all the miles with us...amazing!!! 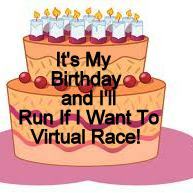 So I definitely think you should run this virtual race for Rachel's birthday! And you can enter to win some amazing prices just for running...who doesn't like free stuff?? Head on over to her blog and sign up!!! Happy Birthday Rachelle!!!! QOTD: Have you ever ran a virtual race before? Which one? I ran Daily Mile's Feed the Turkey 5K on Thanksgiving a few years ago! Another mile for the streak...and another pr! I can't believe I only have 5 days left of the streak! I am actually going to finish this thing!!! I was a little worried when I first started streakin' that running every day may cause injury but so far so good. This morning I got to sleep a little longer because my hubby gets to go into work an hour later on Fridays. I think this run streak has gotten my body used to waking up around 6am (the time I run those one milers) because lately I am waking up before the alarm. So of course this morning the alarm was set for 7:15 but I was awake at 6. Ugh! Anyway, y'all know how I am so addicted to the Olympic trials right now? I found this picture and I LOVE it! And it has some of my favorite track and field athletes in it...Trey Hardee, Allyson Felix, LaShawn Merritt, and Sanya Richard-Ross. Just look at that calf muscle in Sanya's leg...WANT! 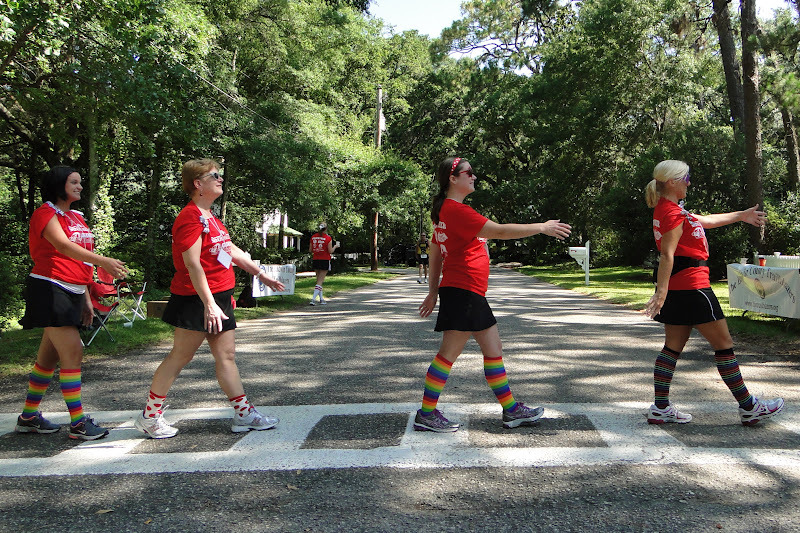 ﻿Remember when me and some of my friends tried to imitate Abbey Road??? 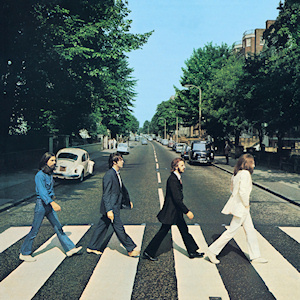 Here's the original picture by The Beatles! 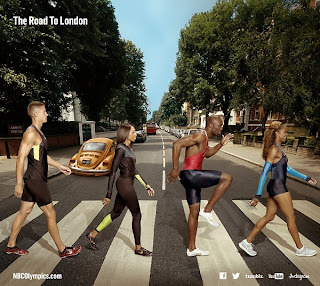 Have you heard the official song for the London 2012 Olympic Games? It's called "Survival" by Muse. I'm not sure what I think about it yet...I like Muse but I think this song may have to grow on me. I'm sure when I hear it during the Olympics I will end up liking it. QOTD: What is your favorite Summer Olympic sport? I love the track and field events (obviously) but I also love to watch the swimming and gymnastics! I ran another one mile pr this morning! The weather was perfect...69 degrees with a slight breeze! It felt great! So I'm starting something new on the blog on Thursdays called "Three Things Thursday." This is where I will post three random things about me...it could be things I like, hate, or that are annoying to me. Or just three totally random things. Then...you can tell me your three things in the comments! Sounds fun, right???!! (Just pretend you think it's fun even if you don't lol) So here goes! 1. I hate to cook. Granted, I love to eat...but only if I don't have to cook it. Thus, my family does a lot of eating out which is not that healthy for you. I need to change...but I just don't like cooking!!! 2. I am LOVING the Olympic Trials!!! It can be track and field, swimming, water polo, I don't care! I love it all! I am so glued to the TV...what does this mean when the actual Olympics are on in 29 days (yes I'm counting down. It's sad I know)? I'm probably not gonna have much of a life during those 2.5 weeks! 3. My little boy Sawyer ALWAYS knows how to make me laugh! He says the funniest things! He told me not too long ago, "Mom! I want to buy fairy dust at the store!" I asked him why and he said, "Because I really want to fly!" Or another favorite....he came into my classroom at school one day during lunch and asked, "Can I have some chocolate?" I asked him if he had eaten his ham to which he replied, "No I can't eat it because I'm scared it will make me burp!" What??? Lol! Now...see how fun that was??? Your turn! 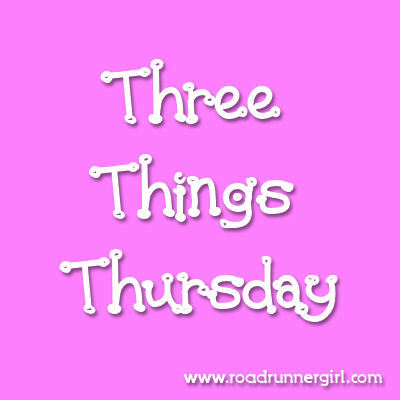 QOTD: What are your three things? A new PR, Plank A Day, and Ab Challenge Week 2! Another mile PR!!!! 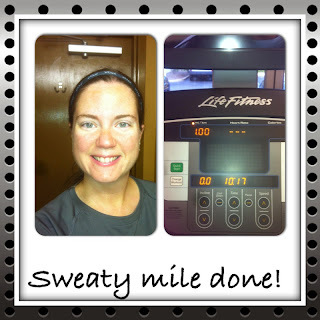 The past few days I've run on the treadmill for the #RWRunStreak and I run much slower on the treadmill. It felt great to get outside today and just go for it! As most of you read on my post yesterday about the Weekly Chase, one of my goals this week is to do a plank a day. I've been seeing the hashtag for #plankaday on twitter for awhile now so I googled it to see what came up. I found the official website for the plank a day revolution and got so excited! I believe the plank is one of the best exercies for your core and I need that core strength as a runner. I'm looking forward to incorporating a plank a day in my fitness life...it's something that doesn't take much time but is so effective. My goal is to hold my plank for at least a minute this week (more if I can) to ensure I am holding it with the proper form. 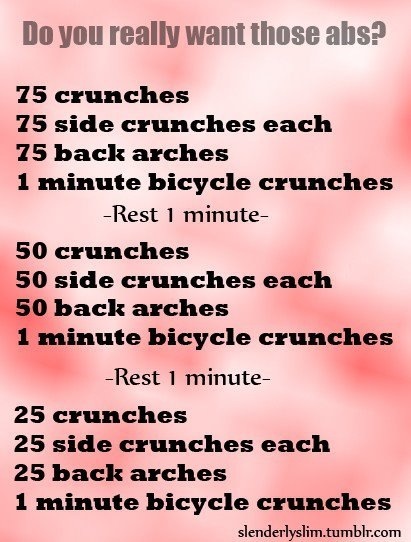 Ok so how is everyone doing with the ab challenge? Did you make it through the first week's workout? It was tough but it got easier each day. The workout for week 2 has been posted...are you ready? WOW!!! Super hard! I didn't even know what some of these exercises were...thank goodness for YouTube! Do the same for yourself...if you don't know what an exercise is look it up on YouTube. Thanks sooo much to everyone for all the comments on yesterday's post! I LOVE hearing from you and hearing about your goals!!! QOTD: What's the longest time you've ever held a plank? Mine is 2:31! 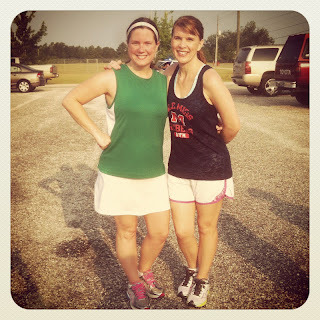 I came across this idea by Melissa at Live, Love, and Run and just knew I wanted to be a part of it. 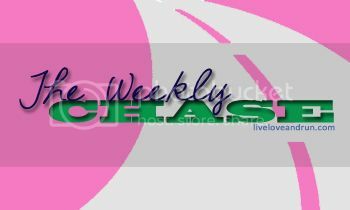 She is starting something called The Weekly Chase where bloggers connect with each other and help each other reach our goals. Every week bloggers will post one or more goals that they want to achieve for the week. These can be goals about anything...not just fitness related. I believe setting goals is so important in not only fitness but all aspects of your life. SO please join The Weekly Chase!!! Goal #1: Do a plank a day. I really want to work on my core and I've read that the plank is one of the best exercises for that. Plus it will go right along with the 30 day ab challenge that I'm already participating in. Goal #2: Do not eat anything after 8PM. I have a bad habit of wanting to eat something sweet (or anything for that matter) after my boys go to bed. I consider that "me time" and for some reason I seem to think that incorporates eating. I'm never hungry at this time...so really there is no reason for it! QOTD: What are your goals for the week? Tell me in the comments below...I LOVE hearing from you! 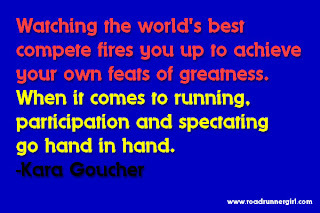 I thought this bit of motivation was perfect since I've been glued to the Olympic track and field trials this weekend! 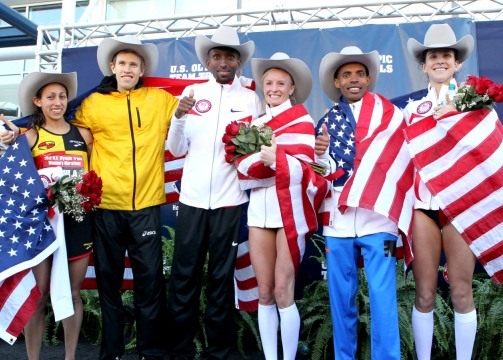 Unplanned Miles...So Good...and more Olympic Trials! Went to the gym to do a mile for the #RWRunStreak on the treadmill but I ended up doing 3 miles! The run felt so good! I love it when that happens!!! I didn't expect that at all...I assumed my legs would be pretty tired after yesterday's 5 miler but they felt great! 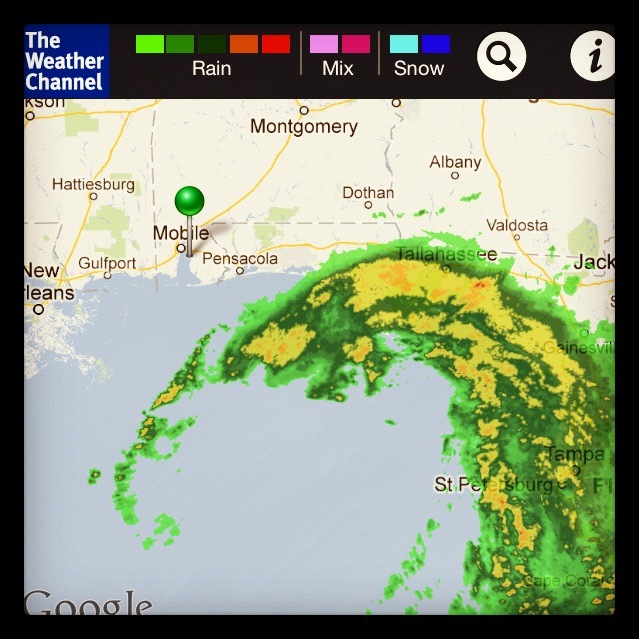 I have a feeling a lot of my runs this week are going to be on the treadmill due to Tropical Storm Debby. Yep...she is heading our way...maybe. She has been a very unpredicatable storm and I'm not sure they know WHERE she is going. The computer models show her going every which way so who knows. Either way I'm sure we will be getting a lot of rain the next few days. Did anyone watch the Olympic Track and Field Trials last night? It's so amazing to watch these athletes! And watching Ashton Eaton set a new world record in the decathlon was awesome!!!! And then there's the women's 100 meters where third place is tied in a dead heat. And the officials still don't know who will be going to London...only three can compete. I really feel for Allyson Felix and Jeneba Tarmoh! First, Tarmoh was said to have won and then after further review they say it is a tie and they don't know how to resolve it! I can't imagine how frustrated those athletes must feel! I've also been watching the diving trials today! The men's 3m springboard final was quite dramatic with Kristian Ipsen missing that last to final dive that moved him from first place to third place...and NOT making the team for London. Luckily, he WILL be going to London for synchronized diving. I am super happy that Chris Colwill won the event...and will get to go to London! Can you tell that I just LOVE the Olympics??? I'm excited about watching more of the track and field trials tonight! Ran 5 miles with my Sole2Soul Sisters Half Marathon training group! These ladies are doing amazing! I gave them a hilly route today and they ROCKED it! So proud! The humidity was back in full force this morning...made it hard to breathe. I guess summer is definitely here! How is everyone's ab workouts going? 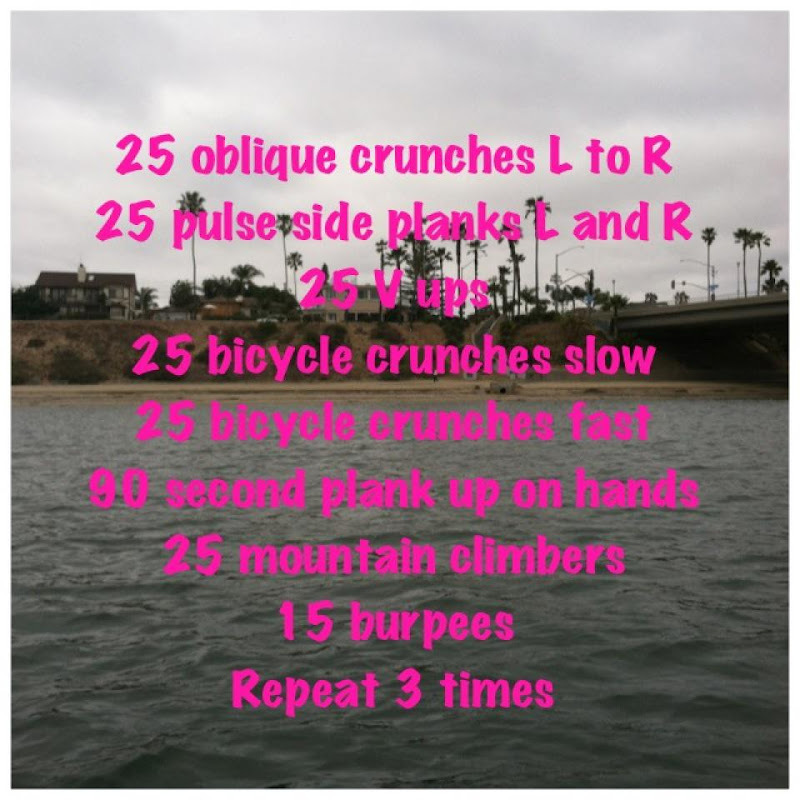 I've done the workout every day thus far....my abs are sore but getting better. Guess that means it's time to change things up! I'll let you know when the new workout is posted! 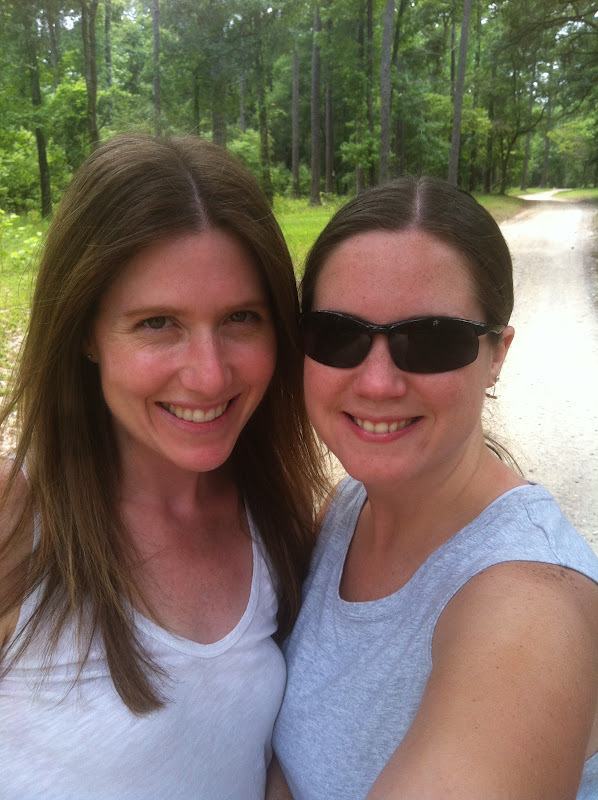 Yesterday, my sister Christy came to visit. We always have a great time when she comes. Luckily, she lives closer to us now! She used to live in San Francisco so we never got to see her. My boys are enjoying getting to know their Aunt Christy. It's funny because they also know that when Aunt Christy comes, Mama and Aunt Christy are going to leave at some point to have "sister time." They have learned that they can't come with us when it's "sister time!" 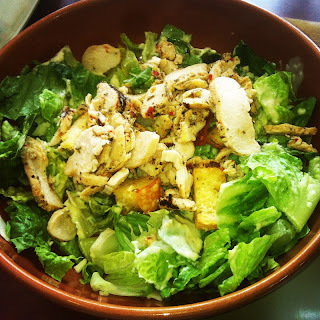 Christy got here around lunch time so we headed out with the boys to eat at Panera Bread. This is one of our favorite places to eat but it was the boys first time eating there. Hayden (my pickiest eater) decided to bring something from home because he didn't see anything on the menu that he wanted to eat. We've learned in my house to check menus before we go somewhere to make sure there is something that he likes on there. Sawyer will pretty much eat anything thank goodness. Christy and I both got our favorite...Chicken Caesar Salad! Sooo yummy! Sawyer got the kids grilled cheese. 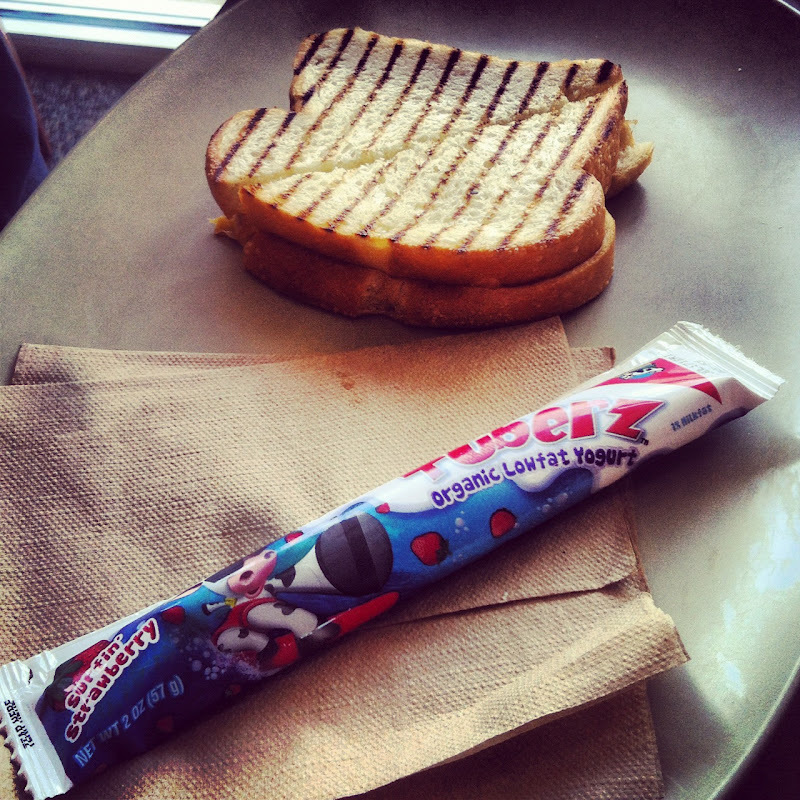 Did you know Panera Bread serves organic yogurt with their kids meals? I LOVE this!!! And Sawyer ate every bite of his grilled cheese and yogurt! After lunch it was "sister time!" We dropped the boys off with my hubby and headed for a hike! Now Christy is used to hiking in the mountains....that's not an option here so we basically walk nature trails. 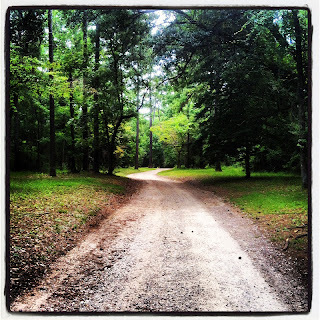 We headed to Historic Blakeley State Park. Even though it's only about 15 minutes away from my house, I've never been here. I've heard about it but have yet to try it. It was awesome! I love all the history about it...the town of Blakeley is one of the oldest towns in Alabama but now there is nothing left of it. Nature has overtook it and not even a brick is left. It is called "the South's loveliest ghost town." There is also some major history about the Civil War that occurred here. Fort Blakeley (what it was called then) was the scene of the last major battle of the Civil War. 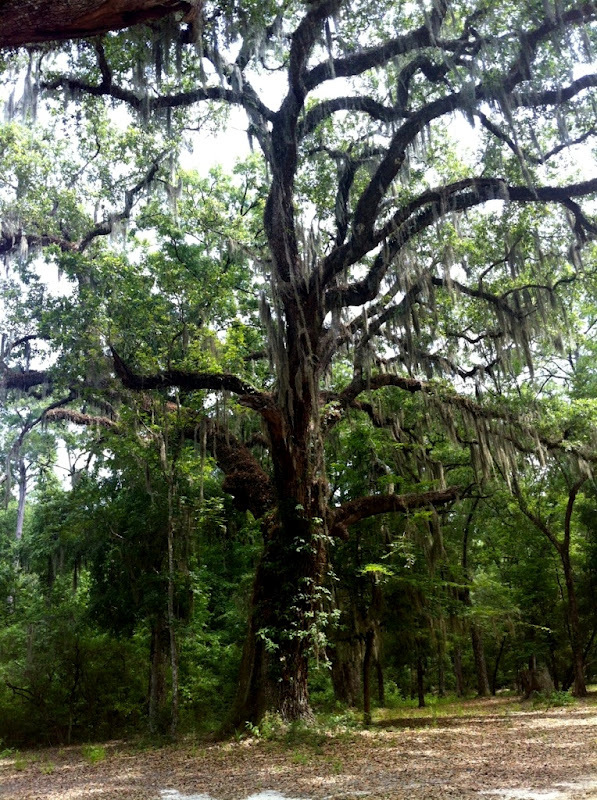 Historic Blakeley Park was created in 1981 to preserve all of this history. Although we didn't see it today (we plan to come back) you can even walk to the site of the battlefield. I can't wait to do that next time! It's beautiful here!!! 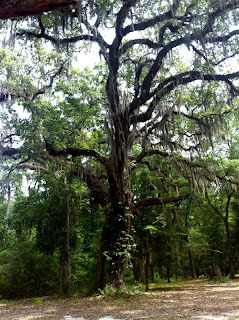 Tons of huge oak trees! 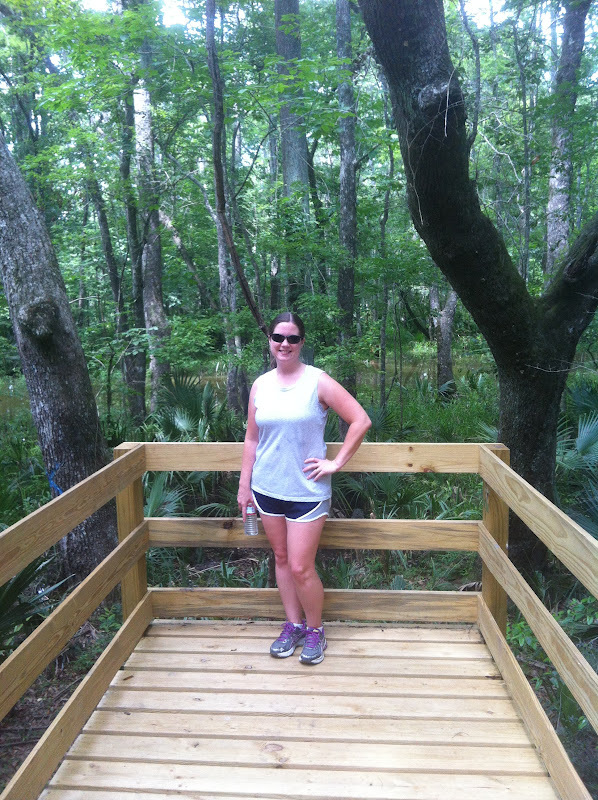 And there are tons of walking trails. We stuck to the gravel roads today because the snakes are too bad on the trails during this time of the year. Part of the walk led us into some swampy areas so there were boardwalks to walk on. We walked around 2 miles. 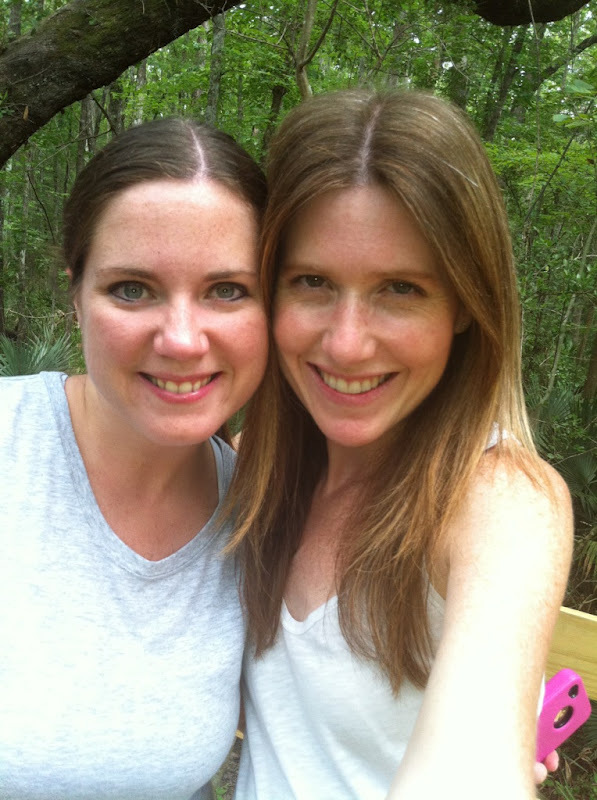 We had planned on walking more but the mosquitos were eating us alive...we had forgotten our bug spray. Next time we plan to make it to the Battlefield. I can't wait to see that! QOTD- Have you ever been to Historic Blakeley State Park? Tell me about it! Olympic Track and Field Trials! I woke up a little later today and it was already pretty hot outside so I headed to the gym to get my mile in for the #RWRunStreak. I just wanted an easy, slow run because I've been feeling pretty tired this week. And I always push myself harder outside so I thought the treadmill would force me to slow down. So that's what I did. It was just the run I needed! Is anyone else excited about the Olympic track and field trails???? I can't wait!!!! NBC is going to have some of the coverage on TV. 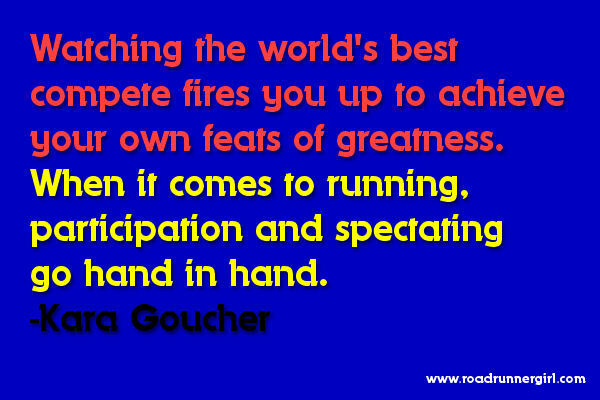 Or you can head to Runner's World Magazine and watch their live coverage. I'll be watching as much as I can! I still remember feeling sooo proud of my favorite girls, Kara Goucher and Shalane Flanagan, at the Olympic Marathon Trials! They run a marathon faster than I can run a half marathon!!! It's amazing to watch! The USA Olympic Marathon Team!!! Go USA!!! Held a plank for 2:31!!!! We had a smaller group this morning...only about 10 of us ran. Started out kind of sluggish but ended up feeling really good! 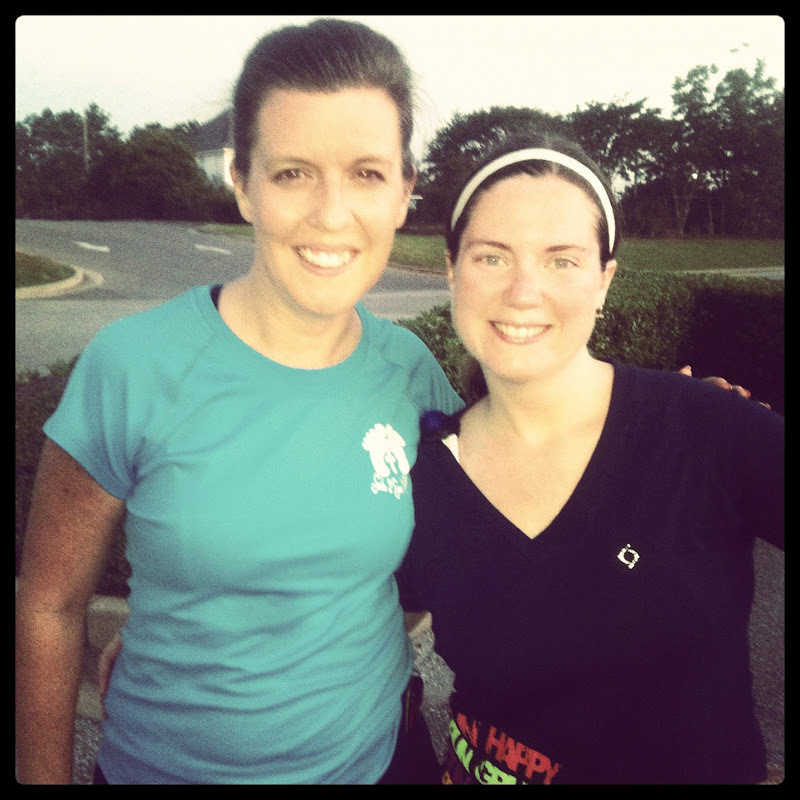 I got to run with Jackie this morning! Usually she's too fast for me! Getting up this morning was super hard! I am worn out!!! I don't know if the running every day is catching up to me or if it is adding the ab challenge this week but I almost fell asleep driving to our meeting place to run this morning. I never do that! Speaking of running every day...today was day 25 of the run streak!!! 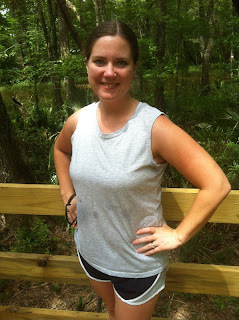 I cannot believe I have run every day for 25 days!!!! Only 13 more days to go! I will admit that I am proud of myself! How is the Ab Challenge going for everyone? 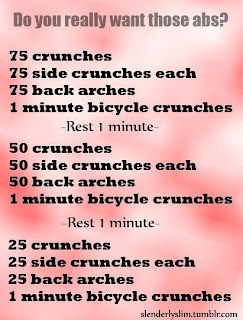 I've done the ab workout every day this week. And boy are my abs super sore! But I love that sore feeling! Even my friend Stephanie did the ab workout with me yesterday! Larisa is also posting daily challenges in the Facebook group each day. One of the challenges was to time yourself and hold a plank for as long as you can. I held mine for 2:31 and I am super proud of that! I held it until my arms and legs were shaking so bad that they couldn't hold me up any longer. Hopefully I can improve on this time as the challenge goes on. Of course I can't leave you without a picture or two of my boys! Yesterday we met up with my friend Stephanie and her three kids. 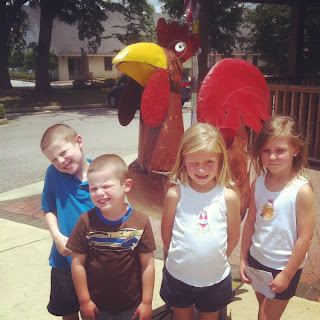 We ate lunch at a local chicken re﻿staurant in town called Champy's Famous Fried Chicken. The chicken is so yummy! Not that healthy for you because it is all fried but I did order green beans with mine to have a veggie in there. 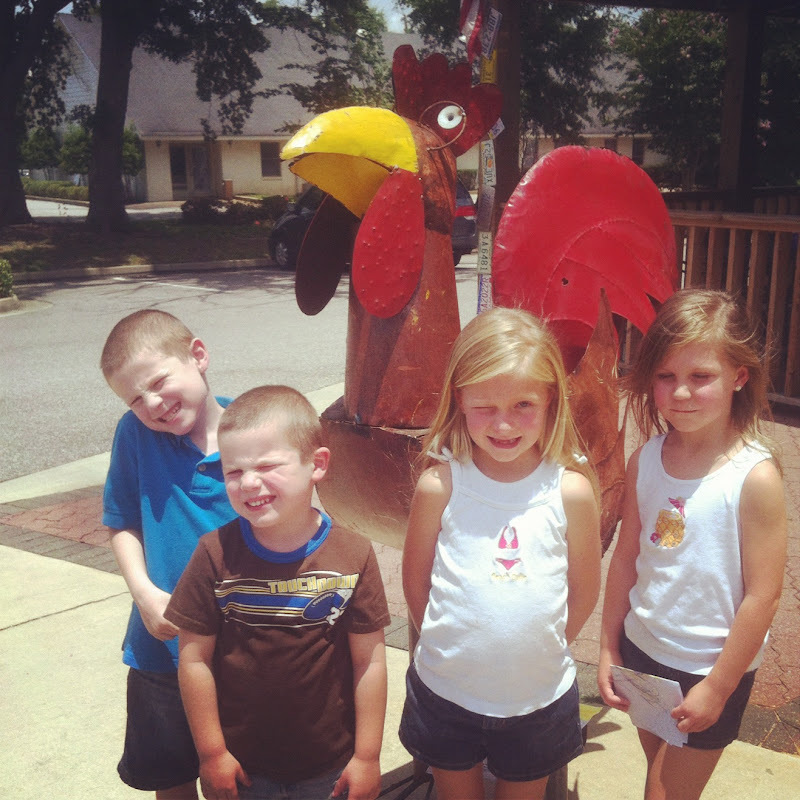 I've got my boys trained for pictures because Hayden asked me, "Can we take a picture with the chicken?" Yes!!!! I just LOVE their squinty eyes lol! We then went to Stephanie's house to let the kids play in the blow up pool. 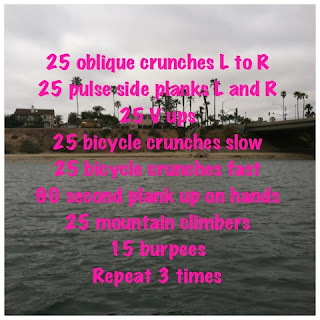 While they played, Stephanie and I finished watching a movie we had started a few days ago and then we did the ab workout! Later that night, Sydney went with us to church. The older kids were all going to the skating rink that night and we knew she would have fun going with us. 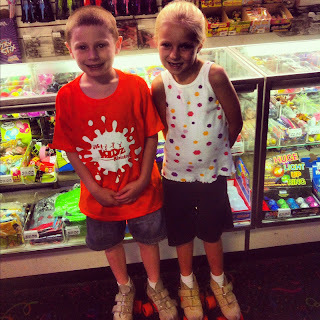 Her and Hayden had a blast skating! 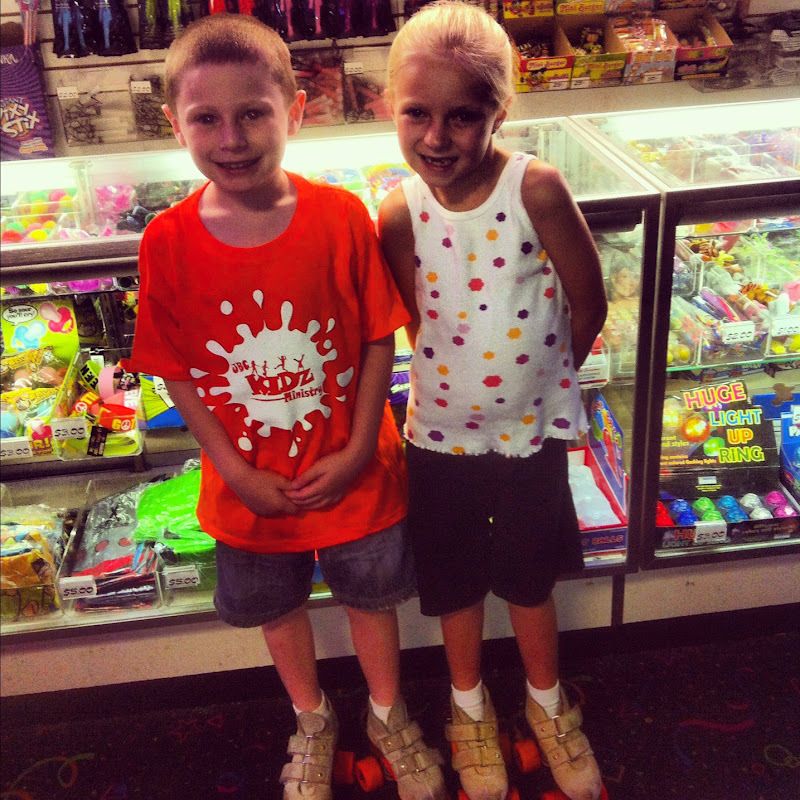 And let me tell you...my Hayden is a pretty good skater! I was proud of him!!! The Longest Day of the Year...and TWILIGHT!!!! 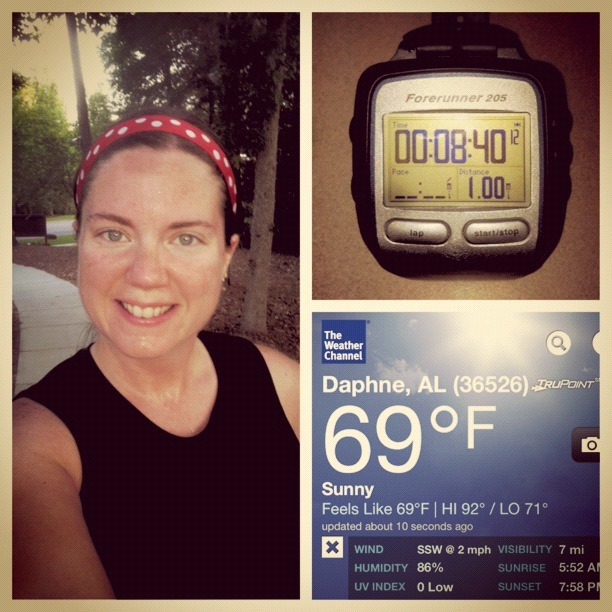 Got my mile in this morning for the #RWRunStreak! No pr today but still pretty fast for me! Today is the first day of summer and the summer solstice...the longest day of the year! I hope that you can get outside today and enjoy it...whether it be going for a run or just going outside to play with your kids...get moving!!! 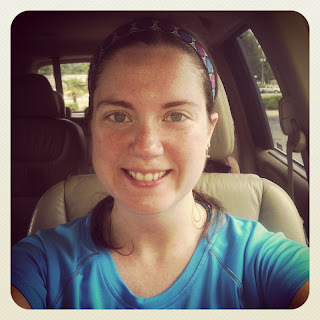 And a silly video of me after my run today! And now for the important event for today...the Twilight Saga Breaking Dawn Part 2 trailer came out today!!!! Have you seen it yet??? If you don't know it I am a huge Twilight fan!!! And this trailer is amazing! Makes me so excited for the movie!!! QOTD: Are you a Twilight fan? Team Edward or Team Jacob? I'm Team Edward all the way!!! 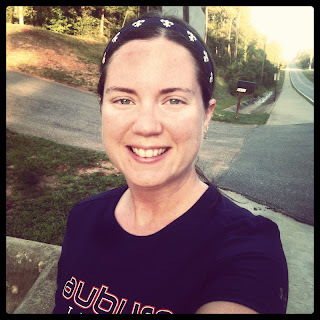 A Snake-y 5K and an Ab Challenge! 6 Miles and a Happy Father's Day! Sole2Soul Sisters Half Marathon Training! Happy National Flip Flop Day!!! Polka Dot Polka Dot Afro PR!!! Streaking Again and Fro Yo! Who Needs Air to Run??? Another Mile for the Streak! 7 on the 7th Day of Streaking! Run Before The Grandman Triathlon!